Gunboat | Boom Beach. All about the Game! Gunboat in Boom Beach is a prototype of command center of attacking troops and provides them fire support with the help of Artillery, Barrage, Shock Bombs etc. during attack. Players can control troops during attack (specify the direction of movement and the target for attack) with the help of Flares. 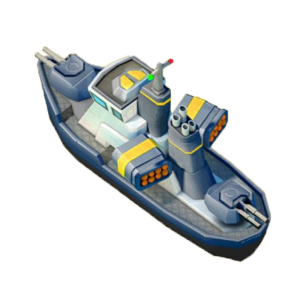 Here on this page You will find brief information about Gunboat and its abilities in Boom Beach. Gunboat. 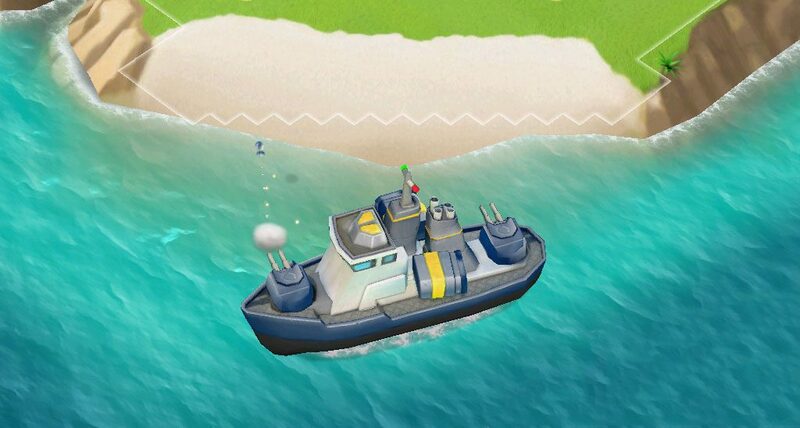 The Gunboat in Boom Beach looks like ordinary warship which appearance changes after upgrades. The main purpose of Gunboat is to control troops and provide them with fire support during attack. The second important thing is that Gunboat has stock of energy which is necessary for landing ashore some of attacking units such as Tanks and Scorchers. 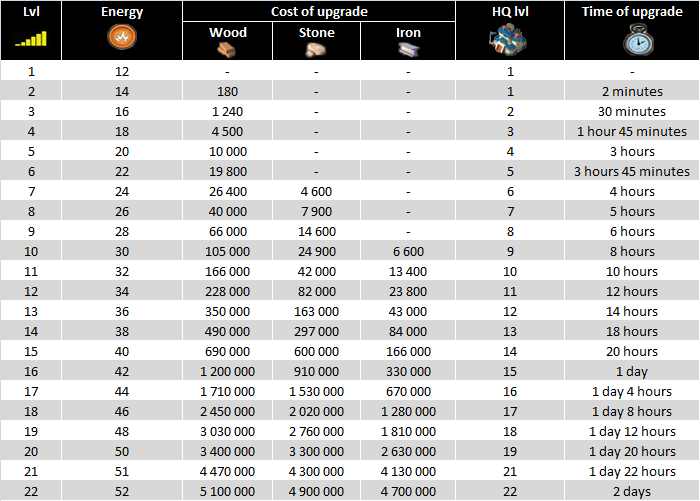 The Energy capacity of Gunboat increases after each upgrade. 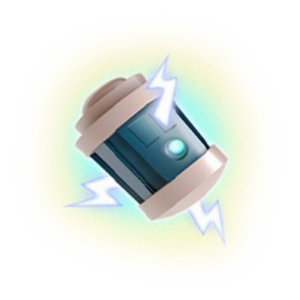 In addition, the stock of Energy increases during attack: every destroyed building gives 3 units of energy. 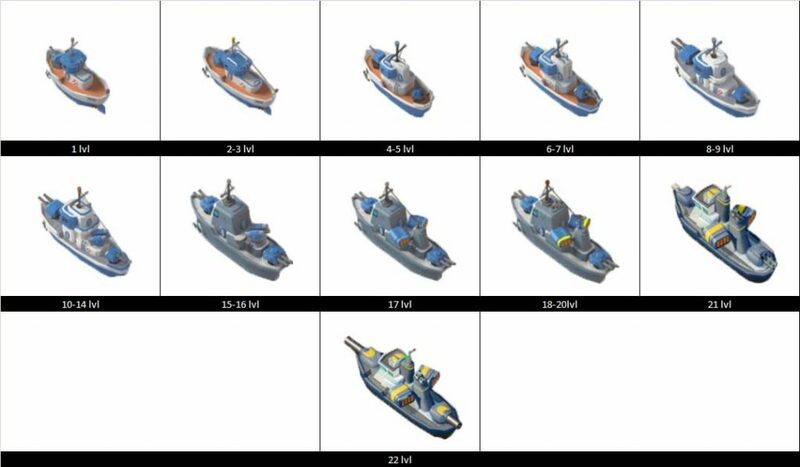 The Gunboat in Boom Beach has 22 levels. The Gunboat increases its energy capacity and changes appearance after upgrades. Artillery. The Artillery is the first available of all Gunboat weapons in Boom Beach. It is a single shot from cannon that causes high damage for enemy buildings. The Artillery is great for hitting standing tightly buildings (in that case damage from hitting receive all buildings). You can use the Artillery as a demining tool also. Use the Artillery with caution due to its ability to cause damage to own troops. 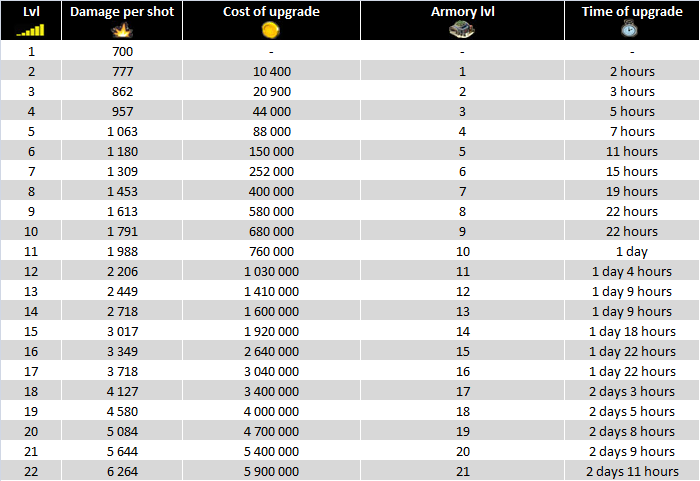 The Artillery in Boom Beach has 22 levels. Flare. The Flare has two main purposes in Boom Beach: the first purpose is to specify the direction of movement for attacking troops; the second purpose is to specify the target for attack (need to aim the flares into the building that must be destroyed). The Flare become available from the 3 level of Headquarters. The Flare in Boom Beach has 7 levels. Medkit. To recover troop’s health direct on the battlefield is another opportunity that You can do directly from the Gunboat which is armed with special Medkit for this purpose (you need to throw Medkit from Gunboat directly on troops that need healing). The Medkit has limited time of duration (7.5 sec) and radius of action (indicated by yellow circle). 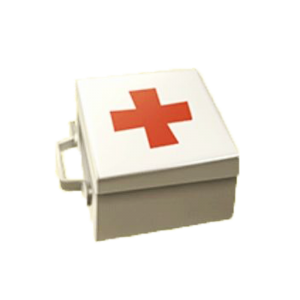 The Medkit in Boom Beach is available from the 4 level of Headquarters. 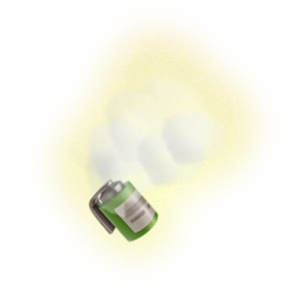 In some cases recommended using the Medkit in combination with the Smoke Screen. If to use multiple Medkits their effect summed up. 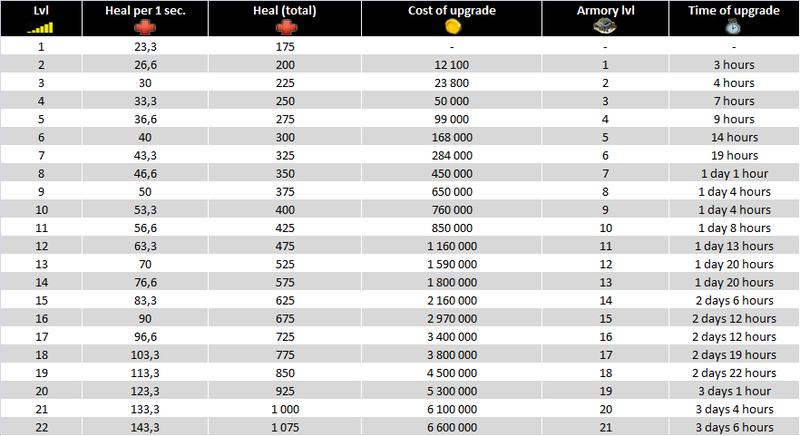 The Medkit in Boom Beach has 22 levels. Shock Bomb. The Shock Bomb available from the 7 level of Headquarters in Boom Beach. 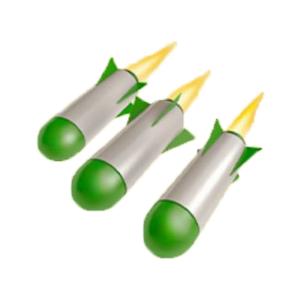 The main purpose of the Shock Bomb is temporary disable defensive buildings on the enemy island and help the advancing troops to destroy them with minimum losses. The Shock Bomb freezes everything (include own troops) for a limited period that depends on level of bomb. Radius of Bomb action is also limited. 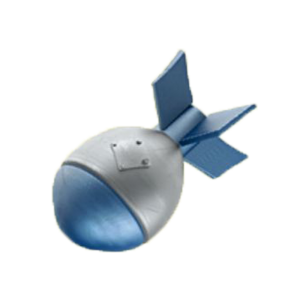 The Shock Bomb in Boom Beach has 6 levels. Barrage. The Barrage in Boom Beach is an analog of the Rocket Launcher but with increased number of rockets (to 15) for a single volley and is available from the 10 level of Headquarters. A special feature of Barrage is ability to hit several targets simultaneously because rockets fall in random order within a radius of 6 cells. You can use the Barrage as a demining tool also. Use the Barrage with caution due to its ability to cause damage to own troops. The Barrage in Boom Beach has 18 levels. Smoke Screen. 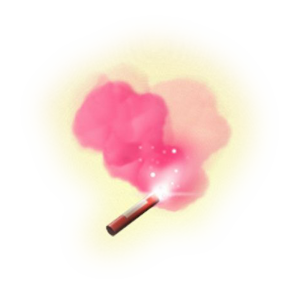 The Smoke Screen in Boom Beach is available from the 14 level of Headquarters and is a very important element in the attack. When the troops under the cover of the Smoke Screen they become invisible to all enemy guns (but at the same time, they cannot shoot also). Formed a kind of pause that can help to restore health of the attacking troops with the help of Medkit or Medics. Some players use a Smoke Screen to cover up the attacking forces, which consist of only Zookas or Warriors. In such cases, the troops under cover of the Smoke Screen approach close to the Headquarters and destory it faster than defensive guns manage to neutralize them. Video examples of such attacks You can find here on the site. The Smoke Screen in Boom Beach has 6 levels. Critters. 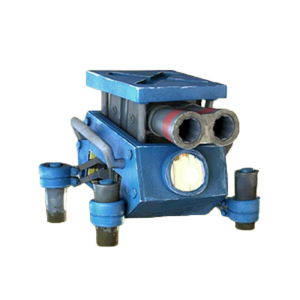 Critters in Boom Beach are small blue colored robots the main purpose of which is to divert attention of the enemy defensive guns from the main attacking forces. Critters are available from the 19 level of Headquarters. The great feature of the Critters is their ability cause damage to buildings with the help of small cannon that can fire from a very close range. You can use the Critters as a demining tool also (just throw them into the thick of minefield). The other feature of the Critters is absence of opportunity to manage them on the battlefield. Medics and Medkit cannot heal them also. Number of Critters depends on their level – the higher it is the more Critters in the one block. The Critters in Boom Beach has 7 levels.